Books, websites, and activities to try. 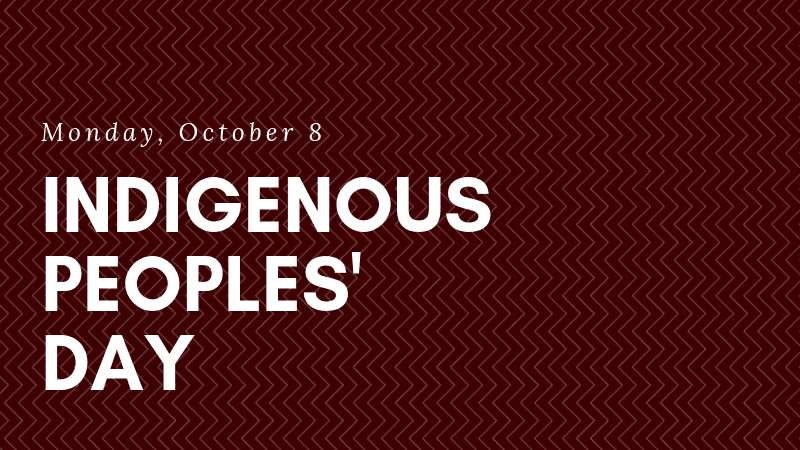 October 8 is Indigenous Peoples’ Day. Many states and cities are moving towards recognition of this day and even choosing to observe it over Columbus Day. This is a day to learn, to observe, to reflect, to create, to connect through story and creation. It’s also a day to move beyond recognition and towards action and accountability. The history of Indigenous People in the U.S. is thorny and vast. There is the horrific legacy of entire cultures being violently and systematically eradicated. And then there are stories of survival, fortitude, and deep connection to the environment and other people. Of course, indigenous history doesn’t begin or end with either of these stories. As educators, figuring out where to start unwinding this huge tapestry can be overwhelming. Every step towards action and accountability starts with inquiry and research. This post will share resources that can help you explore the past and the present lives of indigenous peoples. There are also a few activities that you can do with your students to bring these notions to life. First, should Columbus Day still play a role in the classroom? Columbus Day was established to honor the “discovery” of America and serves as an opportunity to recognize the contributions of Italian Americans. The goal of Indigenous Peoples’ Day is not to erase and replace Italian American contributions. Instead, we must think through the many problems of this history. This narrative, like many narratives over time, is shifting. We now have a chance to examine cultural genocide, the institution of slavery, and the concept of discovery and how these narratives are constructed and at what cost. Indigenous Peoples refers to populations that are the original inhabitants of any given geographic region in the world. Native American and American Indian are widely used, but remember that the term Indian exists because Columbus believed he had reached the Indian Ocean. The best thing to do is to call any Indigenous Peoples by their specific tribal name. Native Knowledge 360° has interactive resources exploring the past and the present. Includes lesson plans and information from Do All Indians Live in Tipis?, an invaluable resource from the National Museum of the American Indian. A search on the History Channel website will reveal videos, primary sources, and grade-level-appropriate articles to share almost any aspect of Native American culture with your students. The National Geographic website includes past and present information about Indigenous Cultures around the world and is specifically useful with exploring the role of Indigenous Peoples’ connection to environmental, geographic, and climate issues. The PBS resources for Indigenous Peoples’ Month include multimedia resources (videos, articles, and lessons), and it links to Google Classroom! The Museum of International Cultures has great teaching resources, and if you’re local, check out their discovery boxes. Here are some reading materials that can help everyone learn more about Indigenous Peoples. Each of these lists includes books by indigenous authors and tell the stories of specific indigenous tribes. Colors of Us has a list of elementary picture books that you can share with your class. The Los Angeles Public Library offers a list of upper grade fiction. Here are some books that adults/educators can use to learn more. 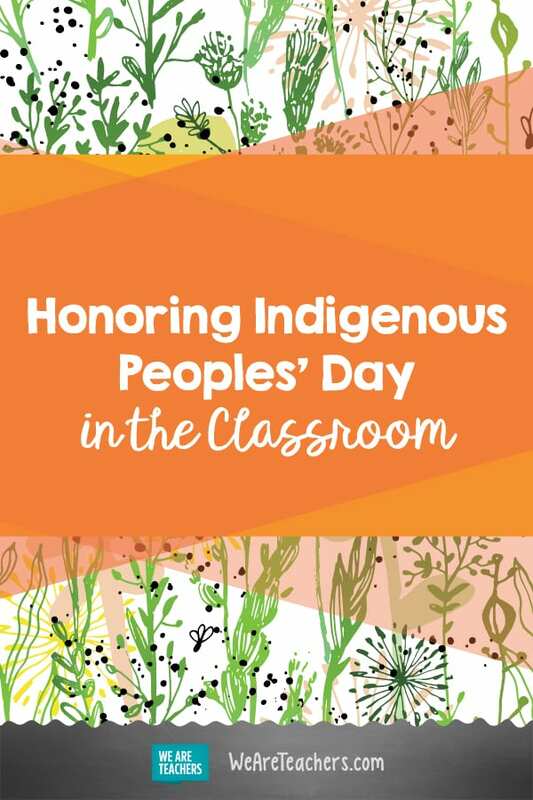 Lastly, there are many enriching activities you can do with your students to observe Indigenous Peoples’ Day, to honor Indigenous Peoples Month (November), and to bring a broader understanding to concepts like Thanksgiving, American history, and environmental activism in your classroom. Create a webquest for your students, starting with the Native Knowledge Culture Quest feature. Explore the ongoing work of the Standing Rock Sioux tribe as they fight to protect their land against environmental threat and injustice. Discuss the controversial role of indigenous-inspired mascots in American sports. Discuss the recent decision of the American Library Association to rename the Laura Ingalls Wilder Award to the Children’s Literature Legacy Award because of the attitudes toward Indigenous People expressed in her books. Learn about the rich oral tradition of Native American storytelling and create your own stories to share, using PBS’s Circle of Stories resources. Learn about the geography of indigenous tribes by making regional maps. Build math, language, and history skills by learning about the Navajo Code Talkers and their contributions to WWII. Learn about one of the original biological weapons by studying the spread of infectious disease. How do you acknowledge Indigenous Peoples’ Day in your classroom? Come and share in our WeAreTeachers HELPLINE group on Facebook.